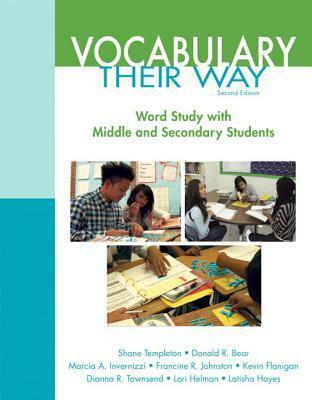 In this new edition of the most comprehensive vocabulary text available, pre-service, novice, and experienced middle and high school teachers get invaluable tools to share with their students that will enable them to learn thousands of words independently. With an emphasis on developing students' word consciousness-the knowledge and predisposition to learn, appreciate, and effectively use words-the book addresses three broad aspects of vocabulary learning and instruction: context-based instruction, word-specific instruction, and generative morphology instruction, as a means to enabling teachers to teach vocabulary their way. The new edition features an expanded author team; separate chapter for the major disciplines/subjects, including a separate chapter on Art, Music, Physical Education, and Career and Technical Education; a new, easily-accessible format presenting the strategies, activities, and assessments; chapter notes directing readers to the PDToolkit online resource, new Activity Selection Charts in each chapter; referencing to the Common Core Standards in each activity and strategy; updated research throughout; a new look at Academic Language; and a revised ESL chapter with a strong new multilingual focus.